I recently mentioned them in my OCC video so i won't go into too much detail here but they have awesome shades, great formula and a wonderful finish! One of my personal favorites from OCC is Pleasure Model! Its much more pink and pale than this photo from their website but you can see photos of my collection here. Not only do NCLA have awesome polishes, they have some incredible nail wraps too! I know Tashina of Logical Harmony has used them a lot so i'll link to her posts on them here. They're 5-free and have awesome brushes for a smooth application. 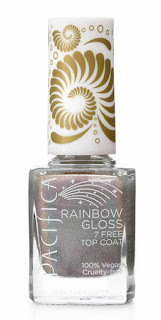 Pacifica do have awesome shades but my favorite is their Rainbow Gloss top coat that is beautiful alone or on top of other pastel shades for a holographic effect. They're 7 free and super easy to apply. I've mentioned some of these awesome colors before but thought it was worth adding them to this list. AKay Style have awesome colors, super cute packaging with a little poem to go along with each and a super easy application! 4-free and hard-wearing! 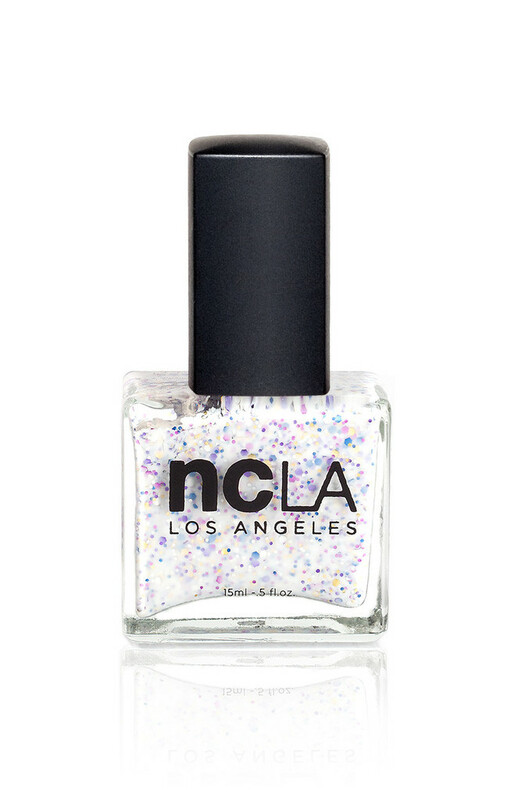 Nail polishes named after foods? Genius! Palate polish are 5-free and are made in small batches. The consistency is fairly thin but still opaque. I think these are awesome gift ideas especially for foodie-friends. You can find a few of my swatches and past review here. The OCC polishes look awesome. You wouldn't happen to know where I can buy OCC in store in the US do you? I think it will be cheaper for me to pick some up on my way back through the states. My favourite vegan nail polish company is an Australian brand called Kester Black. I'm also keen to check out Sienna Byron Bay, formally known as Willow. 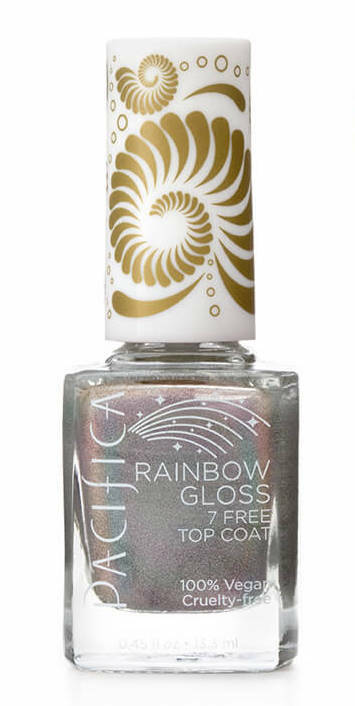 They have some beautiful looking 7 free polishes.